This level has medium difficulty. For this level try to play near to blockers or make special candy as you get the chance. 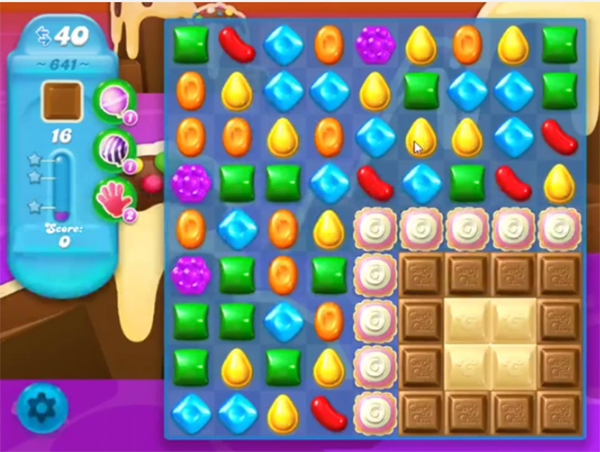 Combine special candies with each other to break more chocolates. Or play near to chocolate to eat them all within 40 moves. Ok, I’ve said this before, I hate the levels where you have to eat the chocolate. You get rid of most of them and then they pop back up. I hate these! Why can’t they just stay gone when you eat them?